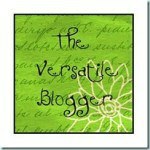 The lovely Laura O’Hanlon has recently nominated Savvy Bookkeeping Blog for the Versatile Blogger Award. Thank you Laura! Her blog Living Minimalist always guarantees a good read and was one of the first blogs I started following on WordPress. If Winning Isn’t Everything Why Keep Score? Make a post announcing your nomination and include a link to your nominator. Nominate 15 deserving bloggers and notify them by leaving them a comment. 6. I used to be an avid fun-runner and miss the energy I used to have! I hope you all accept and enjoy the award as well as choose fifteen other worthy bloggers to pass it onto!